Which Google AdWords Bid Strategy Should I Use? Your choice of Google AdWords bid strategy will depend your objectives. So if your objective is to increase clicks, impressions, conversions, conversion value or ad positions, you should ensure you pick the right bid strategy. There are two bid types in Google AdWords: automated and manual. And there are at least 8 bidding strategies to choose from under these two types. Increasing clicks has some benefits and implications. The main benefit is that it can lead to more sales or leads for your business which is a good thing for your business. However, more clicks often mean more costs. Because you pay per click, the more clicks you get, then the more you have to pay. There are a few bid strategies that can help you get more clicks. The first is ‘Maximise Clicks’ which is specifically designed for this purpose. It will try to get you as many clicks as possible for your budget. And it will set bids that will help you use as much of your AdWords budget as possible and get you as many clicks as possible. 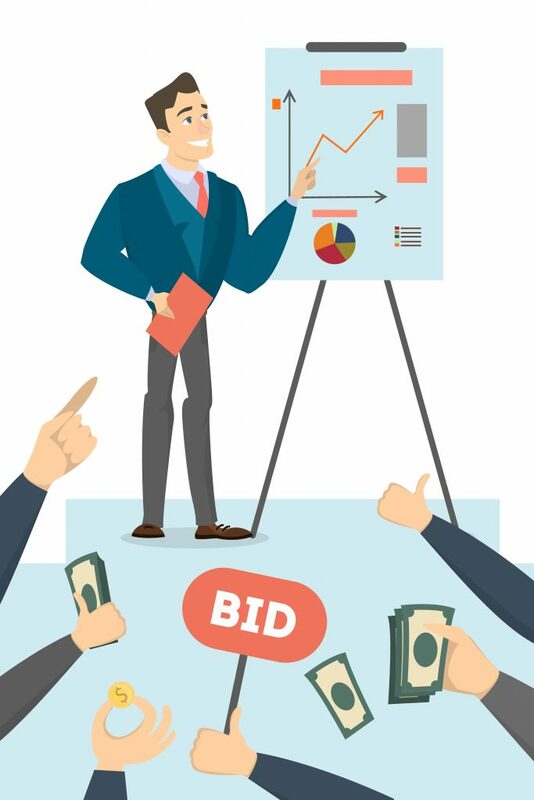 Manual CPC bidding is another bid strategy that you can use to target click volume. Unlike Maximise Clicks which is an automated strategy, this is a manual strategy and let’s you manage CPC bids yourself. It allows you to set different bids for your ad groups, keywords and placements, especially if you’ve found some of them more profitable than others. However, this can be time consuming if you have many keywords and placements in your campaigns. There are two main bid strategies to help you increase impressions and awareness. The first is Target Search Page Location, an automated bid strategy available for Search campaigns. This strategy helps to get your ads to the top position or on the first page of the search results. Ads that rank at the top consistently have higher Click Through Rates and clicks overall. So you can get significantly more traffic. Also, ads that are on the first page of the search results get a lot more impressions than those ranked on page two and beyond. In fact, over 70% of searchers don’t look at the results on page 2 and beyond. So, the more impressions you receive the higher awareness your products or services will have. This helps to increase brand awareness. You can use one of the 4 smart bidding strategies to increase conversions and conversion value. Smart bidding strategies are a subset of automated bid strategies and they focus on conversions. They use AdWords machine learning capabilities to set bids and increase conversions and their value. So it’s important that there’s enough historic conversion data before using one of them. Maximise conversions is a smart bidding strategy that you can use to increase conversions. It tries to get you as many conversions as possible for your budgets and it will set the bids to make that happen. Target Cost Per Acquisition (CPA) is another strategy that you can use. You start by setting the average amount you’d like to pay for each conversion. It then starts working on an optimal bid for your ad each time that it’s eligible to appear. Just make sure you don’t set a Target CPA that’s too low, which may lead you to foregoing clicks that could result in conversions. Overall, you are likely to use multiple bid strategies over the lifetime of your campaigns. And that will depend on your goals at particular stages. The main thing is to understand how each bid strategy works and whether it is right for your plans. Should You Use Manual or Automated Bidding in AdWords? What Is The Most Effective Bid Strategy in AdWords?